THE OFFICE OF PUBLIC Works sold the carcasses of deer shot by a state-hired marksman in the Phoenix Park to a game dealer for €3,500 last year. A total of 60 deer were shot during two culls at the Dublin park in 2018, with the carcasses left over following one cull sold to a game dealer for €3,505.94. Figures released to TheJournal.ie also reveal that the OPW paid €6,718.97 for both culls, including €402.97 on the removal of offal. Annual culls are carried out as part of the OPW’s deer policy, which aims to manage the number of wild fallow deer living in the park, which is estimated to be around 500. Their carcasses are then removed from the park by a game dealer, who is approved by the Department of Agriculture, Food and the Marine, in a refrigerated vehicle. The culls are carried out in consultation with the Department of Agriculture and the School of Biology & Environmental Science at University College Dublin. The first cull of 2019 took place at the park last month, when 34 deer were culled at a cost of €3,083 to the OPW. However, the move attracted criticism from members of the public, with correspondence seen by TheJournal.ie describing the “inhumane” and “unacceptable” nature of the culls. Animal rights groups were among those to complain to the OPW about the culls, including the National Animal Rights Association, and the Alliance for Animal Rights. A number of individuals also contacted the state body to question why it was shooting deer instead of using other methods to manage their numbers. “Castrating the males would be a far more humane way of achieving this objective,” one person wrote. Another individual wrote to express their disgust at the killing of “innocent animals”,adding that they would write to President Michael D Higgins about the matter. 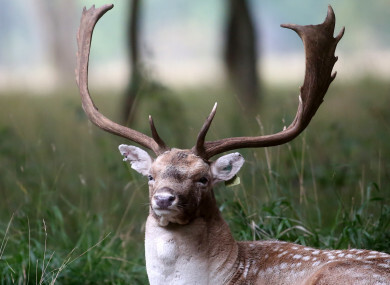 In a statement, a spokeswoman for the OPW said its deer policy addressed all aspects of deer welfare and management of the Phoenix Park herd in line with international best practice. “The Phoenix Park team has long-standing experience in managing the herd of wild fallow deer at the Park. Together with the School of Biology & Environmental Science at UCD, the OPW has explored the various culling methods appropriate to a wild herd. The animals were first introduced to the park in 1662 by the Duke of Ormond, William Butler, and the area was subsequently set up as a Royal hunting park. Their numbers increase every year in June, when fawns are born following mating season the previous October. The OPW also revealed the other ways that deer were killed in the park last year, with 30 deer also dying by other means. According to the OPW, eight deer were killed by cars, 16 were put down due to serious injury and illness, three were killed due to unknown causes, while a further three deer died as a result of being attacked by other deer in 2018. A spokeswoman for the OPW said that the carcasses of these deer were buried deep in a secure and secluded compound in the Phoenix Park, and added that no other deer have been killed in the park so far this year. Email “OPW sold carcasses of Phoenix Park deer culled by state-hired marksman to game dealer”. Feedback on “OPW sold carcasses of Phoenix Park deer culled by state-hired marksman to game dealer”.